Anthropogenic noise is a growing ubiquitous and pervasive pollutant as well as a recognised stressor that spreads throughout natural ecosystems. However, there is still an urgent need for the assessment of noise impact on natural ecosystems. This article presents a multidisciplinary study which made it possible to isolate noise due to road traffic to evaluate it as a major driver of detrimental effects on wildlife populations. 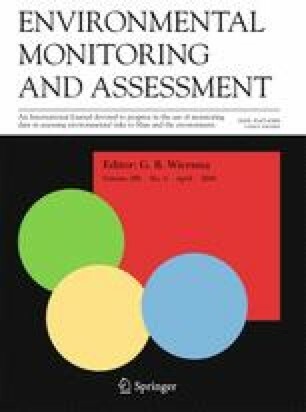 A new indicator has been defined: AcED (the acoustic escape distance) and faecal cortisol metabolites (FCM) were extracted from roe deer faecal samples as a validated indicator of physiological stress in animals moving around in two low-traffic roads that cross a National Park in Spain. Two key findings turned out to be relevant in this study: (i) road identity (i.e. road type defined by traffic volume and average speed) and AcED were the variables that best explained the FCM values observed in roe deer, and (ii) FCM concentration was positively related to increasing traffic volume (road type) and AcED values. Our results suggest that FCM analysis and noise mapping have shown themselves to be useful tools in multidisciplinary approaches and environmental monitoring. Furthermore, our findings aroused the suspicion that low-traffic roads (< 1000 vehicles per day) could be capable of causing higher habitat degradation than has been deemed until now. The online version of this article ( https://doi.org/10.1007/s10661-018-6573-y) contains supplementary material, which is available to authorized users. Permission to do research in the former Peñalara Natural Park (now called Sierra of Guadarrama National Park) was granted by the Regional Government of Madrid for two consecutive years. Special thanks and acknowledgements go to Juan Vielva (Park Director) and the entire staff of the National Park. Thanks are given to Harald Aagesen Muñoz and Douglas Manwell (Brüel and Kjaer) for instrumental support and also to PRS and Diana Badder for editing the English. The work of Luis Diaz-Balteiro was funded by the Spanish Ministry of Education and Science under project AGL2011-25825. Also, part of this study was funded by the Spanish Ministry for Innovation and Science by the grant CALCOFIS: CGL-2009-13013. Carlos Lara-Romero y Gema Escribano-Avila were supported by a Juan de la Cierva postdoctoral fellowship. We also want to thank an anonymous reviewer for their careful reading of our manuscript and both Prof. G.B. Wiersma and Dr. J.A. Elvir for their work and patience as editors during the reviewing process. Falzarano, S. (2005). Natural ambient sound sample site selection. Grand Canyon National Park. Overflights and Natural Soundscape Program 2005. NPS Report No. GRCA-05-01. Retrieved from http://www.nps.gov/grca/naturescience/upload/sample-site.pdf (Last accessed date: 15/01/2018). Iglesias Merchan, C., & Diaz-Balteiro, L. (2012). Mapas Estratégicos de Ruido en Espacios Naturales: MER del Parque Natural de Peñalara (Strategic Noise Maps in Natural Areas: Peñalara Natural Park SNM). 11th National Conference on environment, XI CONAMA, Madrid, Spain. Poster retrieved in English language from http://www.conama2012.conama.org/conama10/download/files/conama11/CT%202010/Paneles/1896700048_panel.pdf. WG-AEN. (2006). European Commission working group: assessment of exposure to noise. Good practice guide for strategic noise mapping and the production of data on noise exposure. Version 2. http://ec.europa.eu/environment/noise/pdf/wg_aen.pdf.